Kungsträdgården (King's Garden) is a very large park in central Stockholm and was a good place to start to explore the city. The park is divided into four major areas. 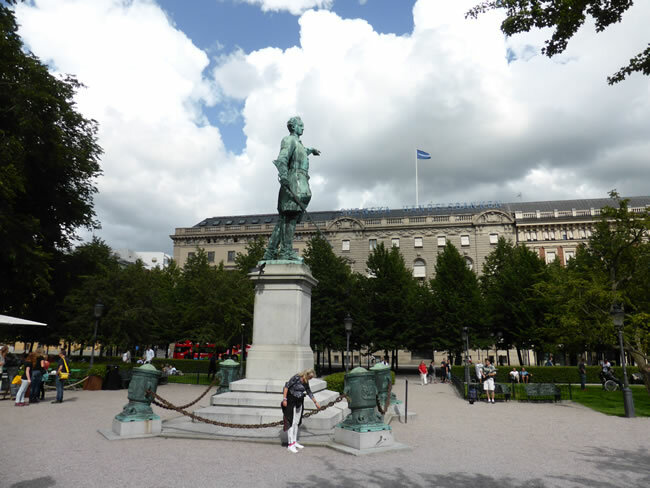 This one is the Square of Charles XII and features a large statue of the king.